Featuring Drake's Chronicles published by Drake's Publishing. 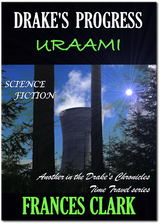 Drake's Chronicles are novels featuring Drake, a Viranian time traveller from the future. The first tales in the Chronicles are the Drake's Progress series titled NIGMA, ALEX and URAAMI. All available now. See links. Follow Drake through time as he becomes entangled in all sorts of awkward and dangerous situations. Send the author a message. 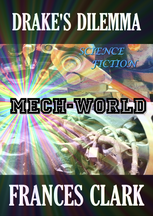 All titles available as e-books. Copyright 2012 All rights reserved. THE FIRST BOOK IN THE DRAKE'S PROGRESS SERIES. Prepare to be entertained. Time traveller Drake visits Tritan. A planet where gladiatorial games thrill the masses. An information gathering exercise turns into a rescue mission. Sometimes sad, sometimes funny, often dangerous, there's plenty of action for Drake and his new found friend in this adventure. 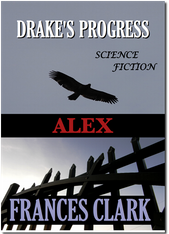 THE THIRD BOOK IN THE DRAKE'S PROGRESS SERIES. 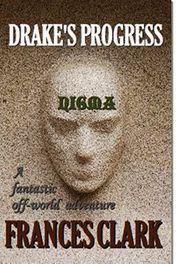 THE FIRST BOOK IN THE DRAKE'S DILEMMA SERIES. Time traveller Drake and his young friend, ex-gladiator Alex, become involved in an inescapable series of dangerous events. On a journey into the Plaxi system they accidentally come into contact with a huge Earth transporter in the midst of an alien crisis. The friends become separated and while Drake helps the captain track down some missing craft, Alex is left to assist the commander of the transporter deal with some unwelcome and hostile onboard interlopers. Drake's adventure takes him and the captain to the surface of a nearby inhospitable planet where they risk life and limb as they confront its unfriendly inhabitants, battle sandstorms, dodge crystal vortraps and neutralise a particularly lethal explosive device. Will the friends ever see each other again? 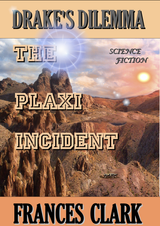 Still reeling from his visit to Xyrania and its volcanic climax, Drake must travel to a planet of robots on a fact finding mission for the Elders. Unbeknown to Drake, his visit caused things to go horribly wrong. He must revisit to set things right but he discovers it is not that easy to undo the effects of his mistake.